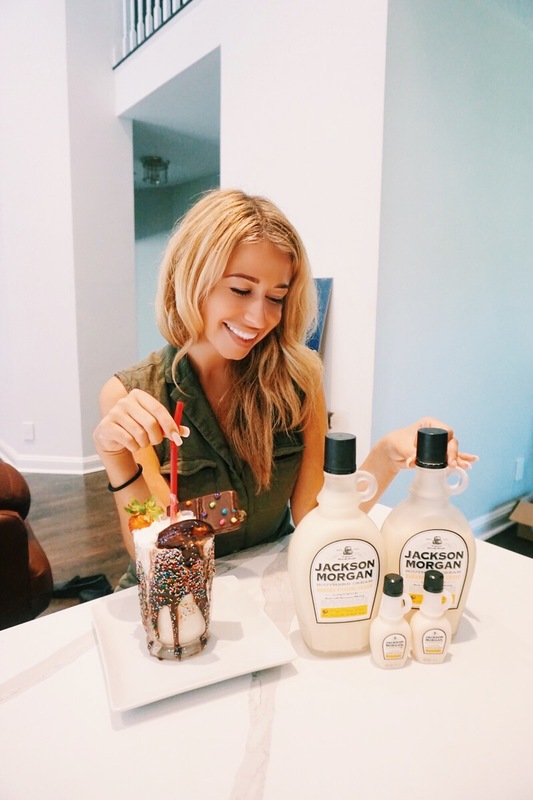 My How-To on making a delicious drink with Jackson Morgan Southern Cream. As I get older, I like to go out less but that doesn’t mean I don’t like to drink any less! I love to entertain. Being a blogger, I always ensure that my drinks look just like my Instagram feed, aesthetically pleasing. I usually work 24/7, so when I found Jackson Morgan Southern Cream I immediately got so excited! It is so delicious to begin with, but the thought of all the yummy drinks I can make with it consumed my brain and I couldn’t wait to have people over so they can fall in love with Jackson Morgan Southern Cream just as I did. Pour Chocolate sauce on a plate and dip the top of the sides of your glass in it. You can check out Jackson Morgan Southern Cream by clicking here.